Oluv's Gadgets: Review: Sony SRS-X33 - who is going to be killed this time? Review: Sony SRS-X33 - who is going to be killed this time? 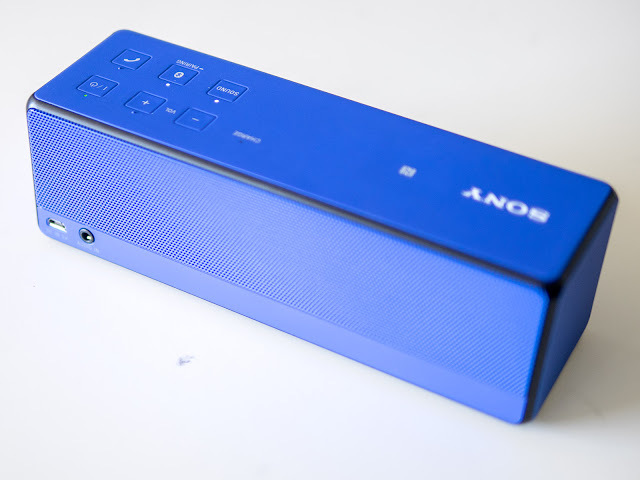 When I reviewed the "Bose Soundlink Mini-killer" Sony SRS-X3 nearly one year ago, I was quite taken with it because it was the first smaller portable speaker that achieved a similarly full-bodied sound as the Bose Soundlink Mini. No other speaker so far, managed this. And the SRS-X3 even did some things better than the Bose, because it was less boomy overall but had better and less directional treble response at the same time while the Bose is rather missing any upper treble at all. The SRS-X3 was not perfect though, it suffered from considerable intermodulation distortion at levels already close to half volume. Bass reduction at higher levels as well as strong dynamic compression was pretty obvious and last but not least the battery life was a joke if you really wanted to use it at higher levels. 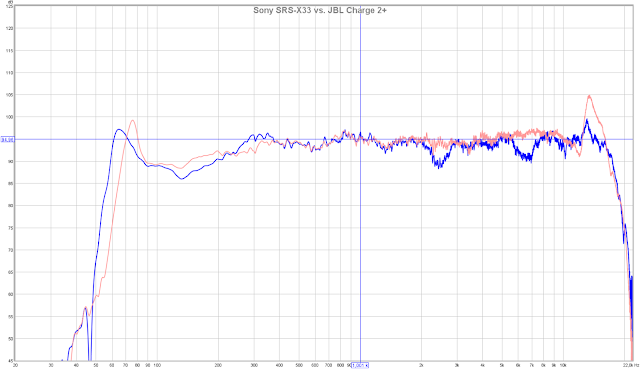 Shortly after the SRS-X3 the JBL Charge 2 was announced and the JBL managed to top the Sony by nearly all aspects. Unfortunately the JBL suffered from some initial DSP-processing issues, which finally were fixed with the latest firmware now. But the JBL Charge 2 made the Sony SRS-X3 obsolete thanks to a much more consistent sound across the whole volume-range, a punchier more dynamic sound and much better battery life. Now Sony came up with the successor to the quite popular X3, which managed to find lots of fans in the meantime. Let's see if the new Sony SRS-X33 can kill the old X3 or even kill all the competition. First thing you will notice that both are still looking pretty similar. I don't have the X3 anymore at hand as I had sold my own unit, but the X3 is just slightly higher. 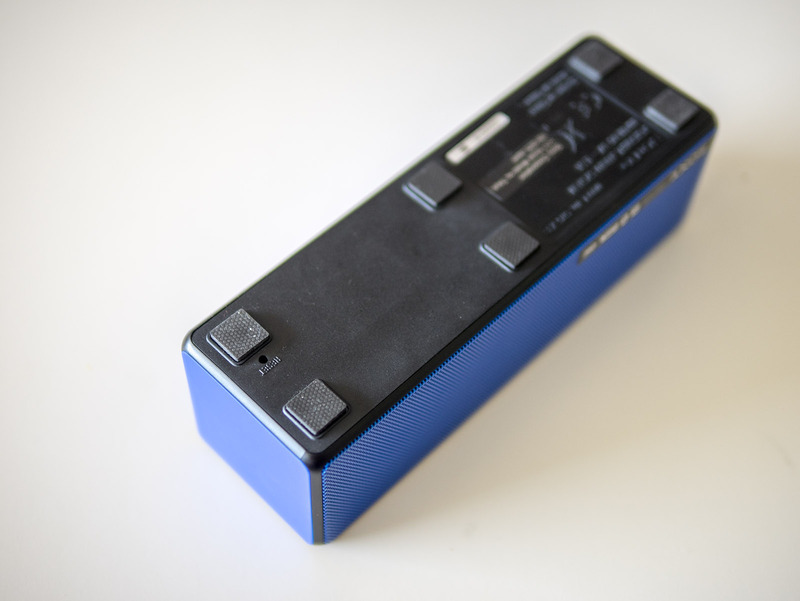 The X33 has some substantial weight and feels even heavier than before because it is smaller. The buttons as well as ports at the back remained pretty much the same, just the audio-in button is missing. The X33 switches automatically to aux if a wire is attached. When looking closer you will also find a new recessed reset-switch at the bottom plate, apart from that no real differences here. Also handling-wise both speakers have much in common. You will get again the same turn-on and turn-off tones, they are not very loud thank godness, maybe Sony even made them slightly softer compared to the X3. The biggest change though is that volume control on the X33 is mirrored now between speaker and iOS device. This is a big improvement as the X3 did lots of strange things and changed its sound dependent on the input level and speaker level. Now this is not possible anymore at least with iOS devices, with Android you can probably still set the speaker to maximum while keeping the volume low on your streaming device. I am not quite sure about the effects though, but on the X3 bass amount would be considerably lower than if you did the opposite: turning your player to maximum and keeping the volume of the speaker rather low. The X33 has 30 dedicated volume steps in contrast to the X3 which had only 15. The stepping is set pretty sensibly and allows for quite a fine volume control even at low levels, unlike with the JBL Charge 2, which manages to double its loudness with each of its first 3 volume steps. If you are interested in some other details of the X33, please also have a look at my original review of the X3, as both still seem to share many common aspects. I complained a lot about the X3 battery as it didn't last very long at high levels with the speaker reducing the volume to half on its own pretty quickly. Unfortunately it seems to be exactly the same with the X33. I tested the behaviour of the battery under controlled conditions this time and noticed that the speaker would play at maximum volume for about 1:35h, then it would again automatically reduce volume on its own and continue to play another 2:20 to finally shut down before even reaching 4:00 hours. It seems as if there is not much improvement here. I guess that the X33 uses still the same batteries as the X3, but I would have to remove the rubber feet and open the bottom plate to really get sure. As that much is in common with both speakers I would rather like to concentrate on sound quality alone and how it competes to the current line-up of top contenders. Unfortunately I don't have any X3 at hand right now, so I cannot compare both directly. But I will try my best to compare them as good as I can. First thing you notice is that the X33 manages to sound simply "mature" just as the X3 did, but the X33 sounds different. I wouldn't say it sounds better, but definitely different. While the X3 had a strong bass and treble emphasis, the X33 sounds more balanced now. There is still some bass-boost, especially at lower levels, but it is more consistent now and the sharp treble-peak is softened out. The X3 was quite a good low-level perfomer and the X33 continues with this fashion, because it sounds best at low levels, it remains some kind of "sound-chameleon" because the sound tends to change quite a lot depending on which level your are going to listen. The X3 managed to adjust its sound from a heavy full-bodied one to a distorted tinny one at high levels. The X33 is better in this regard as it tries to keep more bass at higher levels, but I would say it fails. The X33 still remains a low-level speaker and I wouldn't like to use it at levels above half volume as this will result in an overly compressed and artificial sound. It sounds close to funny when cranked to the maximum and you might have a hard time to recognize your favorite songs. The dynamic compression is becoming so strong, I have not heard anything similar yet, not even from a radio station which often compress the hell out of the music. At the same time the X33 still won't quite reach the maximum volume of the X3, but the X33 will sound more full-bodied at least, albeit strange and not really natural. What is more worrying that the X33 gets out of control pretty quickly. Although intermodulation distortion is better under control than on the X33 and far not as obvious, some other bass distortion is introduced now and already starts at levels around half that was not present on the X3. Bassdrums sound distorted and ugly and bassnotes are not clean anymore but rather with some dirtiness. I was quite shocked to hear the result. At first I was quite surprised by the nice and round sound of the X33, but as soon as I started raising volume it became more and more frustrating. Compared to the JBL Charge 2 at low levels the X33 will sound more full bodied with a deeper reaching bass and with less metallic treble, but already close to half volume the JBL will have an obvious edge with a much more dynamic sound, while the X33 will become mushy and distorted. At maximum volume despite some stronger compression on the JBL as well, it will still sound much more punchy, while the Sony starts sounding like some unwanted special effect. It is similar with the Denon Envaya Mini. At low levels the X33 will easily outpeform the Denon with a more mature sound and more sparkling treble at the same time. At higher levels an obvious lack of upper bass becomes noticable with the Sony, while the Denon manages to keep its level and despite lacking the deeper bass part of the Sony the Denon will sound more natural with the ability to present much more separation between each single instrument, while the Sony has the tendency to blur everything. Volumewise all of them are more or less comparable. The Sony appears slightly louder than the Denon, but it does so by applying strong compression, while the Denon remains quite dynamic. The JBL Charge 2 still manages to keep most of its bass even at maximum volume thus will sound most convincing without any stronger distortion, but with some compression although not as extreme as that form the Sony. One problem of the X3 was that the "sound"-button which was supposed to broaden up the stereo image also increased treble and bass quite a lot resulting in an overall unbalanced sound. On the X33 "sound" has no influence on the frequency response. You really get just a broader sound, but no change in overall coloration. I listened a lot to the X33 with sound and without sound, and I think Sony did a really good job. I didn't use it much on the X3 especially because it changed the whole frequency spectrum too much, but on the X33 I really prefer keeping sound on most of the time. 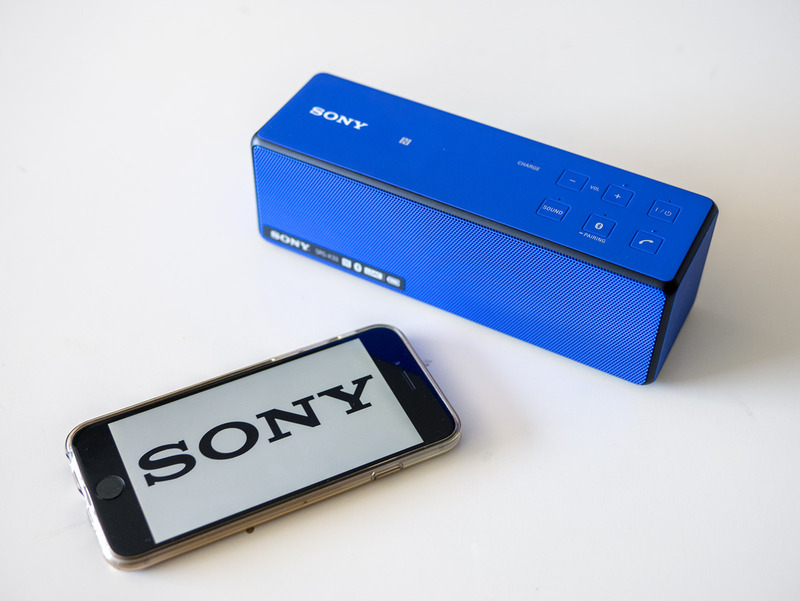 "Sound" effect is very similar to what Denon does with the Envaya Mini. 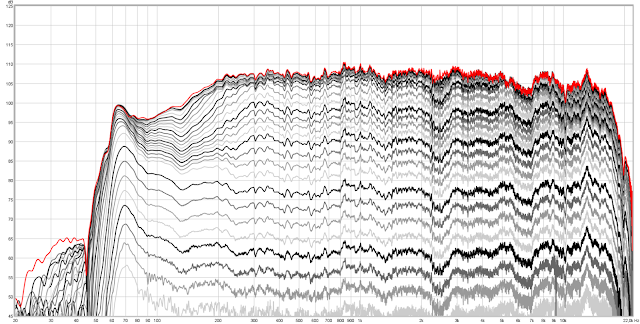 Denon applies some algorithm from Maxxaudio. I am not sure what Sony uses, but both algorithms sound very similar with the difference that the Sony manages to open the stereo width even further, depending on the correct distance to the speaker you can get an extremely involving effect with many instruments playing far beyond the speaker borders or even more to the side of your head than to the front. I think that a distance starting from 1m to 2m gives the best effect, beyond that or closer to 1m the effect is not that obvious. But if you are listening from the sweet spot it sounds really impressive and you definitely get a great sense of stereo width. The only side-effects of "sound" are that some mixes can appear with more reverb. This is typical for phase-shifting algorithms and the one used by Sony doesn't seem to be that much different, but it is certainly quite a bit more sophisticated. I wouldn't be surprised if Sony used the same Maxxaudio processing as Denon, but the one from Sony seems to be pushed more and set up with more extreme settings. 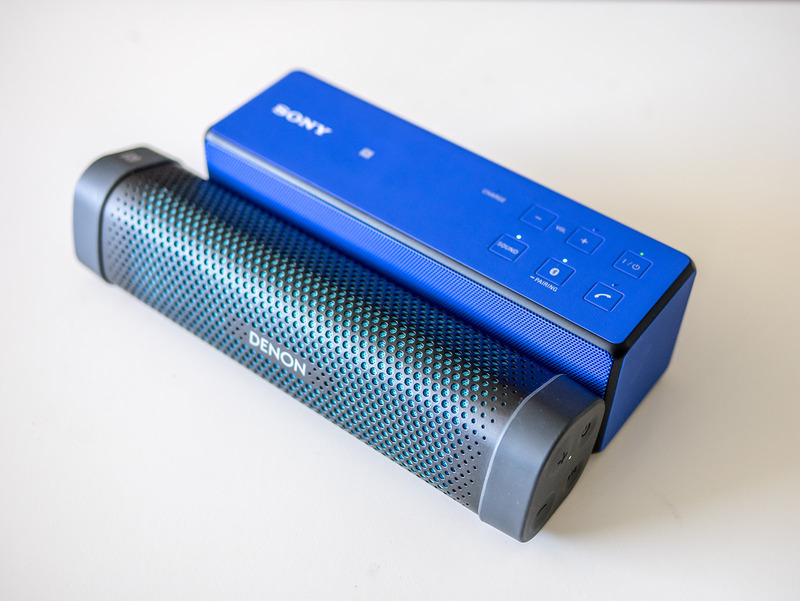 If you like spatial sound and if you already liked what Denon did with the Envaya Mini, you will also like the X33 because I think it even tops Denon's apporach. While Denon's processing is fixed and cannot be disabled at all, with the X33 you have at least the option to turn if off completely, in case you encounter any unwanted side-effects with particular mixes. I really welcome that Sony managed to implement such a nice processing. I was not too impressed with the former algorithms from both X3 and X5, but the one from the X33 is extremely effective and makes this small speaker sound much larger, you really don't have the impression anymore as if you were listening to a single small box in front of you, but rather 2 separate speakers assumed you are in or close to the sweet spot! Hopefully in future other manufacturers will try similar tricks to avoid that typical mono-sound which is so common with all smaller single cabinet speakers. 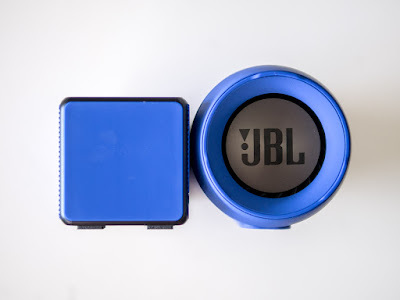 It needs more than separate 2 drivers as these will not give you any stereo sound by just placing them 5 cm apart, therefore a JBL Charge 2 will still sound mono equally to a UE Boom that despite having both drivers at the opposite sides of its body the result will be a rather dull sound if not exactly one driver is aiming at the listener. Geneva Lab for example applies "embracing sound" technology to create an illusion of a broader sound, RIVA uses their own Trillium technology etc. but most other speaker companies still don't seem to have noticed the benefits of stereo over mono. Come on, we are in 2015, and the first stereo recordings were made 85 years ago. 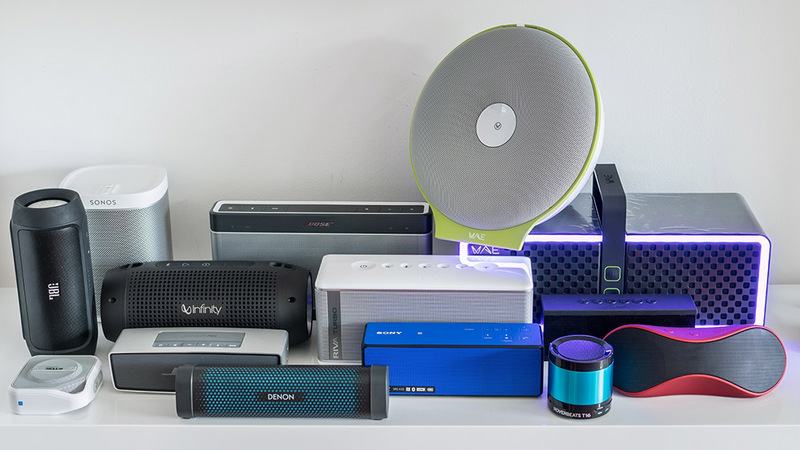 Wireless pairing with another speaker would be quite a simple solution for that problem, but still only few Bluetooth speakers support this. My feelings about the Sony SRS-X33 are quite mixed. The biggest letdown is the uncontrolled sound at higher levels with lots of unacceptable distortion and extreme dynamic compression yet unheard to such a strong degree of any other speaker. If you intend to use the speaker just for background listening, the X33 might be a pretty good solution though as for this purpose it sounds pretty mature and clear without any unnatural colorations. Add "sound" and you really get the impression of having a small stereo setup in front of you, just beware of turning volume above half, as you will be disappointed then. Especially modern heavy mixes make the X33 struggle quite a lot. Instead of real drum-attacks you will rather hear some undefined scrap. If you add to the fact that the X33 will just reach 1:30 hours at maximum volume, it is pretty clear that this is not a speaker for high volume listening. I like the minimalistic design and the looks of the X33 and although it might be one of the best low-levels performers right now, there are much better solutions available that are usable in a more universal manner. Although the JBL Charge 2 will not sound as convincing at low levels and won't provide such a nice broad stereo image as the Sony, the JBL performs much better at all levels above and will still play for more than 6 hours at maximum volume without reducing loudness or appling other tricks. Irre ich mich, oder sie die Kurve vom Mini II - zumindest in diesem Vergleich - besser als jene vom Ier aus? What speaker would you recommend for 100 euros? 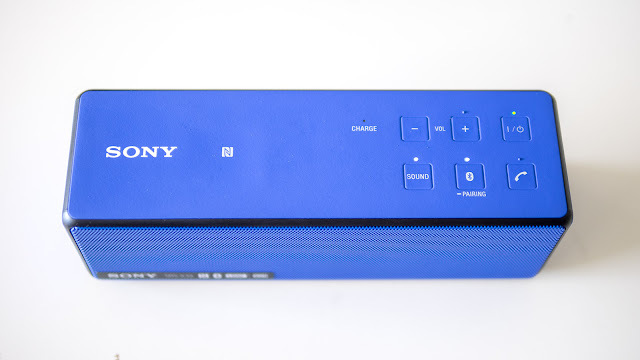 Get the Sony SRS-x55 that sound is beast. The dedicated subwoofer adds a lot more bass, and you notice that if you compare it with a Bose sound link mini II. ...are such speakers even updateable at all? I am using this Sony SRS-X33 for my users that need to create Skype conference in small number of people using single laptop on our side. It works fine. I would actualy buy it for myself but it seems to me that it runs on battery even if the charger is connected. Only when I switch the speaker off it starts to charge the battery. I am not sure whether it alway run on battery or it uses the charge as a power source and just not charging the battery at the same time. Have you notice the same behaviour? Seems that this piece of crap doesn't do anything good. I read, too, that the battery should charge even if the speaker plays. But it doesn't. I started charging it for 15 minutes, then turn it on. After 15 other minutes, the "Charge" light was blinking again. Speakers that really play&charge won't charge via USB, but by a wall adapter (and a custom plug), since more juice is needed for those simultaneous actions (between 10 and 15 V, instead of the 5 V USB can provide). I have it since 3 days only, and I'll go for a refund as soon as tomorrow (sound is just horrible). conditions of use. Therefore, it is recommended to turn off the speaker when charging." and charge the battery to its full capacity before use." and I am happy with my purchase. I advise anyone considering purchasing a portable speaker to ask themselves what is it they want it for. At low levels it is one of the best as written in the review, but everything above half, simply forget it! Riva S is one of the best in the market right now in is category. The bass is present in all volume level range. Amazing... It smash all competitors... Well Vifa Helsinki is slightly better at higher distances, but is also pricy. Sony SRS-X33 don't has any chance to compete with this two. All this IMHO of course. By the way... Great site and great reviews on your youtube channel. Is there a way to reduce bass somewhat? It sounds muffled and when I raise volume it sounds more definitive but louder than I want. First off ... Thank You Oluv for your incredible highly detailed reviews. 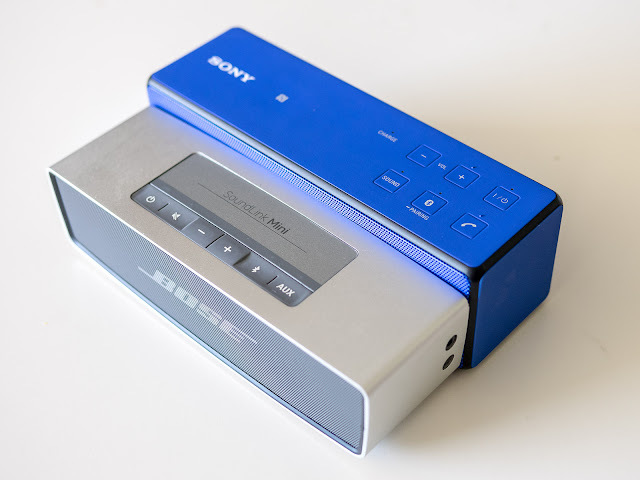 I read pretty much every review of every speaker Bose, Riva S, JBL .... all the ususal suspects .... and then spent hours listening to several units in store before settling on this Sony x33. For what it is, the size and the price there is no question in my mind that this is the best speaker out there in terms of value measured in sound per dollar. It blows the Soundlink Mini 2 away in sonic clarity. The treble is crisper and the bass is less muddled and It has wider sound stage. And it's $120 less than the Bose. The only disadvantage of this unit over the Bose is Battery Life. It's claimed at 12 hours. I got about 6 at half volume. I bought it last week to take on a business trip and it fits perfectly into my suitcase. It has a substantial feel in hand (solid weighty)and is definitely sturdy for travel and with USB Charging I dont need to carry extra power bricks. My experience now in 3 different hotel rooms last week was that it filled each room with full rich sound. It does get some bass distortion above 55% volume but I have found it has enough volume up to 50% that I dont need to go past that to fill a room anyway. I am an audiophile with very expensive home and car equipment. 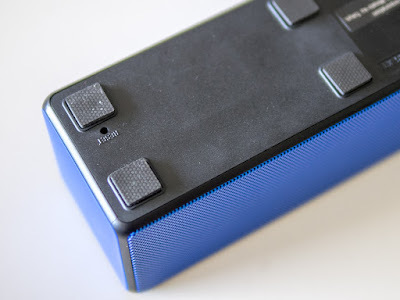 But, listen I quite reasonably dont expect audiophile results from an ultra-portable bluetooth speaker but I'm simply blown away by this little thing, whether its connected to my laptop, tablet or Astel & Kern Dual Dac HiRes Music Player. I know the RIVA S unit is getting critical acclaim and I was tempted in that direction but one has to consider how they'll use it and how often they'll use it. I'm in Canada and for me the difference was $99 CAD for the Sony vs $350 CAD for the Riva. I am absolutely delighted with my $99 choice. I cant recommend it highly enough. MY speacker doesn't distort the sound when played at leves above medium.... I think its great, the only problem its the low battery life! I think they should have thinked twice before selling this product, but still... And the Low battery program its a problem, it never lets you run the music abaove a certain level of sound! Great! I want to buy it now. My speakers are out of order. O luv im thinking to buy a bluetooth speaker for my office, ill listen to classic music and 87´s to 90´s music (including chicago, eagles, nirvana, queen, beatles, aerosmith, and others). 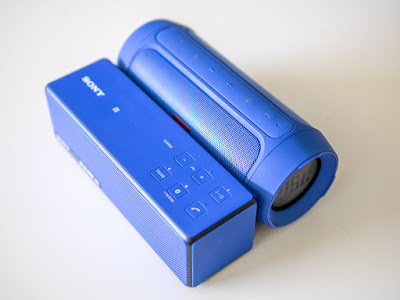 What will yo buy, Sony X33 or Bose Soundlink mini II ?? Anyone eve find that there's lag when arching video?? Or do I just not know how to set it up for that right? Typo, meant to say watching video. Video lags behind sound or so it seems? What am I missing?